In a world where there is so much luxury amid so much suffering, those of us who have, need to share with those who don't have. There is so much suffering, and the needs are so great, yet every one of us can do something to make a difference. Many have fled their homes to escape violence and persecution, terrorism and war. Families in the Middle East are malnourished many are struggling just to survive. As a mother who lives a comfortable life, I can't sit by and watch the suffering of millions without doing something. While the aid agencies and governments are unable to provide enough humanitarian and medical relief for these people, there is a need for us to personally take action to help. Each of us have the ability to do something to make a difference in this world we live in. 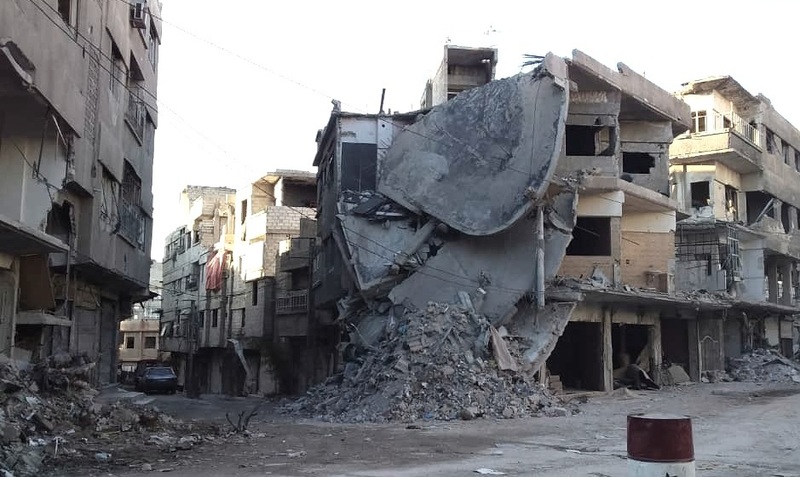 One of the many scenes of destruction in East Ghouta in Noevmber 2018 after the siege was broken.